I must say I am surprised at the low caliber and lack of ethics of the EU’s negotiators in the Article 50 negotiations – ours have their faults but at least they have a damn sight more ethical understanding. The more one hears of the antics of the EU in these negotiations the more convincing it becomes that Britain had no place amongst those posturing and parasitic unelected bureaucrats. I campaigned against Britain ever joining having opposed it long before that and the more one sees of the EU the more I am convinced how right I was – it is hard to find anyone in that snakepit in Brussells who is not either stabbing someone in the back or being stabbed by those they so miscuidedly call ‘colleagues’. Posturing drunks such as Jean-Claude Juncker, whose previous job in Luxembourg was little more than leader of a Council the size of Bristol and the unfunny commedy act of the failed premier of Belgium Guy Verhofstadt now recycled as an MEP where reralistically the job of an MEP is merely to provide the pretence of democracy to the EU and act as its sales force bringing back soundbites for their local media to dupe them into the belief that the EU is some sort of success and an achievement when all it has done is keep growing in numbers whilst failing on every other count. BreXit can not come soon enough and yes I appreciate it may well be a bumpy ride for a few years when we leave but it will be a ride we can take with dignity as masters of our own destiny, as we rebuild the 50 years of damage dome by the betrayal of Britain by Heath and his shoddy cronies. 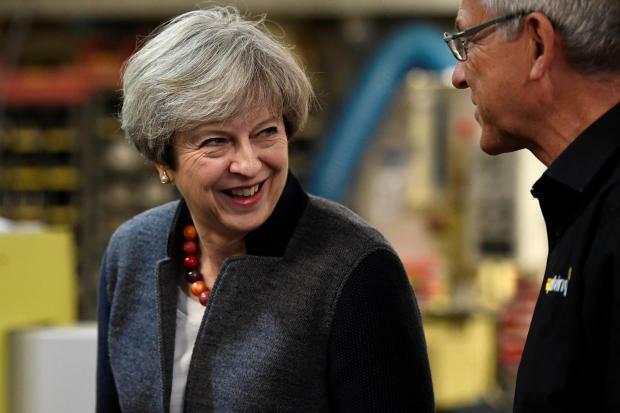 Relations between Downing Street and Brussels plunged further downhill today after the European Parliament’s chief Brexit negotiator openly mocked the Prime Minister. Guy Verhofstadt mimicked Theresa May’s election slogan of “strong and stable leadership” on Twitter and implied she did not understand the complexities of the Brexit negotiations. In another hostile intervention, European officials involved in Britain’s exit talks launched a whispering campaign against Brexit Secretary David Davis, chosen by Mrs May to lead the negotiations. They described him as so “flimsy” he should be replaced after next month’s general election. The barrage from Brussels followed a series of high-level leaks of a private dinner between Mrs May and the president of the European Commission, Jean-Claude Juncker, which portrayed the Prime Minister as having unrealistic expectations of a favourable exit deal. Last week’s dinner reportedly ended with Mr Juncker saying he was “10 times more sceptical than before” that a Brexit deal could be reached at all. The attacks seemed to be calculated to undermine Mrs May’s negotiating strategy. The European news organisation Politico reported that Brussels officials were so despairing of Mr Davis that they had hatched a plot to replace the EU’s chief negotiator Michel Barnier with his deputy in an attempt to give No 10 “a graceful way to replace Davis”. Sources close to Mr Davis ignored this. Finance minister Wolfgang Schauble said: “Britain should not have advantages after the exit that other countries don’t have.” Mrs May and Mr Juncker described last week’s dinner at No 10 as “constructive”. The first sign of trouble came when German chancellor Angela Merkel used a speech to German MPs to warn Mrs May against “illusions” about what she could get in a deal. 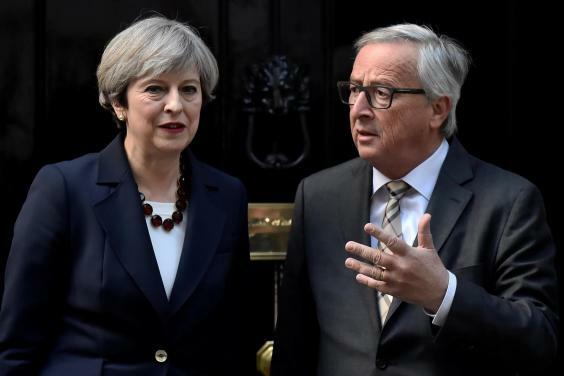 It soon emerged that Mrs Merkel had been called by an aghast Mr Juncker after the dinner, who told her Mrs May was ignoring the EU’s red lines.